Provide children with the language to explain why they are wearing ashes. Color a cross each day for 40 days showing good deeds done out of love for Jesus. 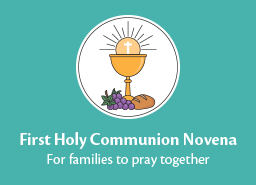 Encourage families to take practical steps toward practicing the traditional Lenten pillars of prayer, fasting, and almsgiving. Demonstrate how we practice letting go of things as a way of opening our hearts to receive God’s grace. Watch the chain grow during Lent as young people identify their Lenten goals. Introduce young people to the three Lenten disciplines through a prayerful reflection. Symbolize the removal of the Alleluia during Lent in anticipation of its return at Easter. Help families see that it can be fun and enriching to celebrate Catholic Lenten traditions at home. Learn about Jesus’ responses to suffering and our responses as well. Encourage young people to draw closer to God and one another by taking St. Patrick’s Breastplate to heart. 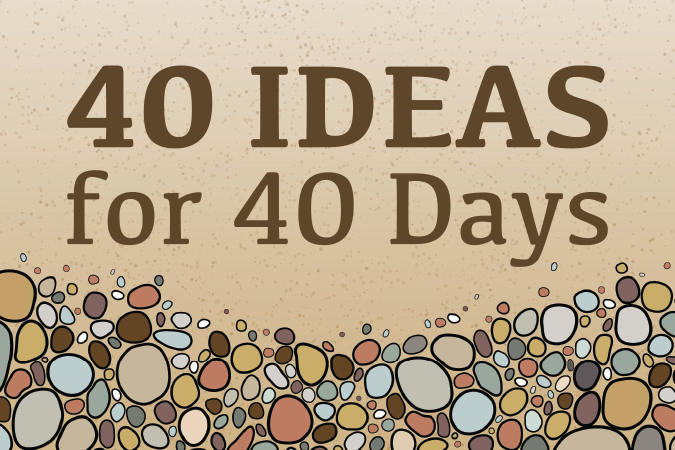 Lent: So What’s Up with the Number 40? Explore how, in the Bible, the number 40 is symbolic and represents a significant period of time during which an individual’s faith is tested. Use the Feast of St. Joseph, who was a quiet man, to teach young people to be quiet during this season of Lent in order to meet Jesus in their hearts. Help young people experience Lent in a way that connects them to Jesus. Explore with children the Lenten image of the desert, where God is encountered in a special way. Learn to recognize impulsive behaviors and work to overcome them. Focus on the celebration of the rites called the Scrutinies, which are celebrated with the catechumens (those to be baptized on Holy Saturday) on the Third, Fourth, and Fifth Sundays of Lent. Glue cotton balls onto a lamb for each prayer or doctrinal formula children take to heart during Lent. Brainstorm temptations that young people face and can strive to avoid during Lent. Explore why pretzels are a traditional Lenten food that remind us to pray and fast. Find strength in numbers by joining together in an experience of fasting. Keep Lenten themes the focus of every session for the entire season. Download two resources to help in preparing for a Reconciliation service. Search through Lenten hymns to identify the meaning of Lent. Spread the message of mercy to those you serve. Engage those young people who are more visual and perhaps even artistically inclined, focusing on the Stations of the Cross. Create “freeze frames” of the Stations of the Cross. Show young people how they might learn from St. Vincent’s example this Lent. Make a Lenten journey folder as one way to introduce young children to prayer. Learn how to practice an Ignatian form of prayer—the Daily Examen—during Lent. Do a Scripture search to locate the five Sorrowful Mysteries prayed in the Rosary. Help young people to develop a generous heart like St. Katharine Drexel. Search Scripture for the Seven Last Words of Christ as recorded in the Gospels. Help children become more familiar with the Passion story. 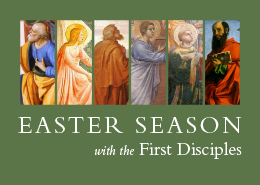 Help children and families experience the full meaning of the final days before Easter. Connect Holy Week and the end of Lent to the celebration of Easter by creating Holy Week baskets. Invite young people to imagine drawing the cover of a parish bulletin for Holy Week. Design a triptych showing symbols of the Triduum with this activity from the Christ Our Life program. Focus on the Eucharist and the Last Supper with young people. Teach about the Triduum during the week preceding it. Teach older children, teens, and adults about the holiest time of the year. This is incredible! Thank you so much. My catechists and I are very grateful that you have this resource ready and updated for this coming Lenten season. God bless you! This is awesome! I have been trying to find an easy way to start Lent with our children. This is it! Thanks! Thank you very much for all these ideas, this is an easy way to start Lent, God bless you! These ideas and resources are excellent!! Thanks for gathering them and especially for sharing them! Beautiful and inspiring activities! Thank you! 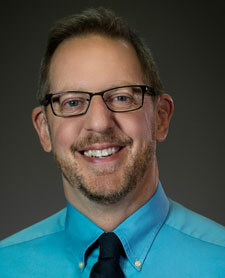 Will you be updating your Lenten activities. I noticed you have Lent beginning in Feb. Yes, Mary, these resources will be updated soon for 2019. This is excellent idea. Very helpful for my grandchildren. God Bless.